In this edition of Weekend Watch, we’re taking a look at everything relating to The LEGO Movie 2: The Second Part. Up first, we have a pair of featurettes, along with a robust array of clips from the film, including both promos and a short prequel story. Plus, we have a humorous video in which the voice cast head to “astronaut training,” as well as a great behind-the-scenes video from the films various voiceover sessions. Coming from FilmIsNow, this quick cast featurette for the film does a great job of getting us re-acquainted with the film’s voice talent. We also get a quick look at the new additions to the cast, including Tiffany Haddish’s Queen Watevra Wa-Nabi. Another quick featurette from WB takes a look at The LEGO Movie 2’s new theme song, which is aptly named “Catchy Song.” Although the title is a fun play on theme songs that only this franchise could pull off, it’s also fairly bland and repetitive. We’ll have to wait and see how the song holds up within the context of the film itself before making a final judgment. This lengthy video from Entertainment Access combines most of The LEGO Movie 2 clips, TV Spots, and trailers that have been released thus far. Although this covers some of the footage posted above, there is new material that makes it worth checking out. In the clips, we get caught up with Emmet and Apocalypseberg after the Duplo attack, watch our heroes hilariously stumble into a familiar TV studio, and there even a great scene between Batman and Queen Watevra. Also included is the short film titled “Emmet’s Holiday Party,” which is pretty self-explanatory. The next series of clips come from Movie Extras, with the first showcasing the arrival of Stephanie Beatriz’s General Sweet Mayhem in Apocalypseberg. We’ve already seen bits and pieces of this in the trailers, but it’s nice that the film acknowledges Lucy as the true leader of the group, something that was well established in the first movie. Up next is a familiar scene that feature the heroes coming face-to-face with Queen Watevra for the first time. It should be pretty obvious by now that Haddish’s character is probably the primary antagonist of the film. But even out of context, this scene is pretty great. Our third clip focuses on Lucy and Emmit’s relationship at the beginning of the film. It’s a funny scene, but what’s interesting here is how meta the film is about a “terrible, annoying and manufactured pop song.” Considering that the new song for The Lego Movie 2 is exactly that, its great to see the filmmakers acknowledge one of the more subliminal aspects of the film. Finally, we have a great clip from The LEGO Movie 2 that showcases another new character, Rex Dangervest. In case you haven’t noticed, this character is a play on Pratt’s Jurassic World character, along with Pratt’s public persona. Note that the way Rex’s helmet opens is very reminiscent of the way Star Lord’s mask works in the Guardians of the Galaxy films. In this humorous video from The Late Late Show with James Cordon, Chris Pratt, Elizabeth Banks, and Will Arnett join Corden for “space camp.” The video sees the quartet put through a battery of tests to determine who would be the best astronaut of the bunch. We get to see them do real NASA tests such as the Multi Axis Trainer, the centrifuge, the E.V.A Simulator, along with the space shuttle simulator. This is a really fun one to watch. This video from FilmIsNow showcases the behind the scene voice work from the film’s cast. Using a fly on the wall approach, this B-roll takes us inside the recording studio to see the voice acting process. Not only do we see Pratt, Banks, Arnett, and Haddish in action, we also get our first good looks at Beatriz, Charlie Day, Nick Offerman and Alison Brie’s return as princess Unikitty. 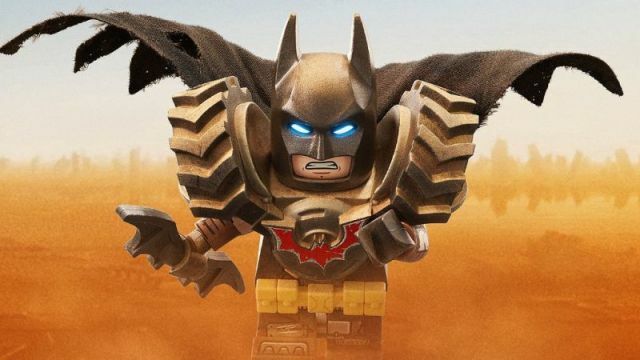 Of all the moments here’ it’s hard not to appreciate how effortlessly hilarious Arnett is when he voices the LEGO version of Batman, especially since it seem like he’ll play a crucial role in the plot of the sequel. Are you excited for The LEGO Movie 2? Let us know in the comment section below!